Former president of South Africa Thabo Mbeki said at the funeral of Professor Phillip Tobias that his legacy was “too important and too durable to be forgotten.” Professor Emeritus at the University of Witwatersrand in Johannesburg, Tobias died on June 7 at the age of 86. 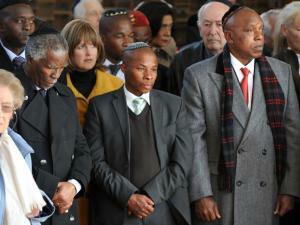 Many dignitaries, including President Jacob Zuma, attended his funeral at Johannesburg‘s Jewish cemetery. Why was he so revered? He was so much more than an academic, who was nominated for the Nobel Prize three times. Yes, he was a paleoanthropologist; he unearthed the mysteries of man’s origins in ground-breaking and remarkable ways. 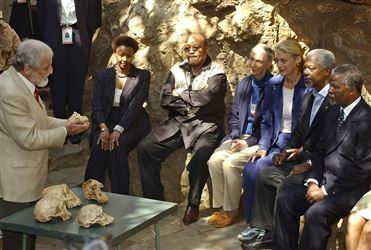 In 2008, a colleague (his protege, Lee Berger) discovered Australopithecus sediba in the Malapa cave, in the Cradle of Humankind World Heritage Site; these fossil remains date back two million years and appear to be the closest to our homo ancestors yet discovered. 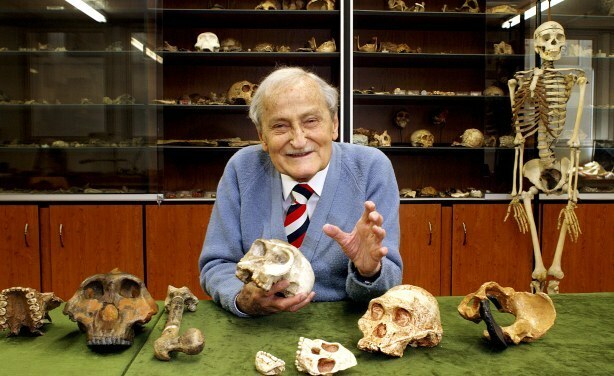 Professor Tobias reportedly became very emotional at the thought that these earliest ancestors of man were found in his beloved country of South Africa. His dedication to science (he also studied genetics and medicine) is just one aspect of the professor’s life and achievements. He was also greatly admired for his stance against apartheid in the early days. He did not come from a privileged background; his family was almost destitute after his father’s business failed. He had many challenges in his early years – and later in his academic year, when he had some detractors. But he overcame. He never married or had children, but was devoted to his students at Wits Medical School in Durban, where he became head of Anatomy in 1951 – and to all his thousands of students throughout his life. 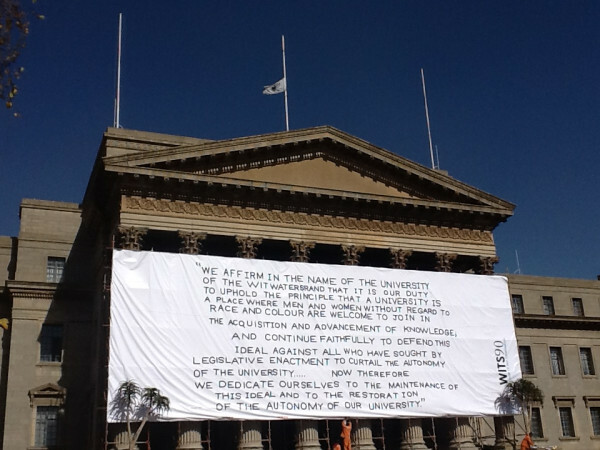 And it was at Wits that Phillip Tobias took a strong and furious stance against apartheid, during the six and a half years when Daniel Francois Malan put in place legislation that laid the foundations of the apartheid regime. Below is a marvelous article from South Africa’s first daily tablet newspaper, iMaverick, which you might like to subscribe to. I highlighted Professor Tobias’ views on race from the viewpoint of a scientist and social activist. I was also struck by his love of the newness of science and learning (“We have to swallow hard and open our minds”) and his eloquent defense of the university as the oppressive forces of apartheid literally hovered overhead. You can read it at http://allafrica.com/stories/201206081399.html. Johannesburg — A man with a twinkle in his eye, who lived for his science and his students, the man who bravely fought the apartheid machine, has died. What lives on is his remarkable legacy in the fields of palaeoanthropology, genetics, medicine and humanitarianism. But during the last few months of his life, Tobias battled with ill health and finally succumbed in hospital at midday on Thursday. He was revered around the world. Tobias completed a medical BSc and lectured at Wits Medical School before getting his doctorates in medicine, palaeoanthropology and genetics. An honorary doctorate at Cambridge University followed, and in 1959 he became head of anatomy at the Wits medical school. He succeeded his friend, mentor and teacher Raymond Dart, who earned fame for discovering the “Taung” skull, a species he claimed to be an evolutionary “bridge” between apes and humans. Tobias studied genetics with Dart, who cultivated in his student a great love of palaeoanthropology. But the man, who was to become one the world’s most respected experts on human evolution, first started thinking about humans’ ancestors as a child who loved to read comic books. The Chicago Tribune tells of how Tobias was engrossed by cave-man comics that portrayed Neanderthals as stooped brutes. “They had the spark divine in their heads, but they were bent over in appallingly bad posture,” Tobias told the Tribune. “That was the view then, that we became human in our brains before we became human in our posture and our teeth,” said the octogenarian who saw many paradigms in the study of ancient humans overturned during his time. “We have to swallow hard and open our minds – I’ve always loved changes of paradigm, and we are living on the brink of big ones at this moment. I’m very excited. I don’t think we’re 50% of the way toward resolving the outstanding questions of human origins,” said Tobias before warning that not being open to new ideas in his field could lead to rapid “cerebral fossilisation”. Though Tobias is legendary for unearthing man’s ancient ancestry, back home it was his huge regard for humanity and his active struggle against Apartheid that made him a true son of the South African soil. Born in Durban on 14 October 1925, Tobias moved to Johannesburg to study science and medicine at Wits University a few years before the dark shroud of apartheid started to become a legislated evil. “Only a few years after I arrived here, the Apartheid regime came to power under DF Malan and they won that fateful election on an Apartheid platform. Every branch of society was to be segregated. Discrimination was to be enforced between the haves and the have-nots, between black and white South Africans,” Tobias said when he received the Walter Sisulu Special Contribution Award in 2007. At the time, Tobias described how universities like Wits faced the threat of government-enforced segregation. Tobias told of how Special Branch police would invade Wits repeatedly to fire teargas at students and staff. Helicopters whirred overhead to spy on students, but served another purpose as their noisy engines drowned out dissenting speeches.The three-time Nobel Prize nominee would rage against the apartheid machine throughout its existence, and in 1987 this would see him face off against then minister of education, FW de Klerk. The New York Times reported that thousands of university students rallied against political conditions that the government of the time was trying to install, in order to get these institutions of higher learning to toe the party line. Tobias once explained why he raged against Apartheid. “You may perhaps wonder: why should I have all this scientific mumbo-jumbo thrust on to me? It is of nobody’s concern what I believe about the expanding universe or the atomic theory. Why therefore should I concern myself with the scientific theory of race? “The answer is that these other terms and concepts are emotionally and politically neutral; the term ‘race’, on the other hand, is heavily charged emotionally and politically and full of unsound and even dangerous meanings. It is in the name of ‘race’ that millions of people have been murdered and millions of others are being held in degradation. That is why you cannot afford to remain ignorant about ‘race’. “In a society in which the question of race has come to loom as largely as it does in South Africa, there is, I believe, a positive duty on a scientist who has made a special study of race to make known the facts and the most highly confirmed hypotheses about race, whenever a suitable opportunity presents itself. I should be failing, therefore, in my academic duty, if I were to hold my peace and say nothing about race, simply because the scientific truth about race runs counter to some or all of the assumptions underlying or influencing the race policies of this country. In no field is the need of guidance from qualified scientists more imperative than in this very subject of race,” Tobias said, then in his 70s. And his advice to those of us still studying or learning about life? Professor Tobias explains, teaches and enlightens a group of dignitaries. Tobias the man is no longer with us, but his massive intellect, work and wisdom remain with us forever. iMaverick is South Africa’s first daily tablet newspaper and includes coverage from the Daily Maverick and Free African Media. To subscribe, go to: www.imaverick.co.za. What a wonderful tribute for a remarkable man… Thank you! Yes, the more I read and wrote about him, the more I admired him!